People spent more than $3.2 million buying memorabilia from Madonna's '80s glory days, proving people have too much damn money. The biggest-selling items included the gown and stole she wore in the "Material Girl" video, which sold for $73,125, according to the auction house's news release. Meanwhile, the wedding dress Madonna wore when she tied the knot with Sean Penn sold for $81,250. Other highlights from the Madge auction included her gown from the film "Evita," which sold for $15,000, her "League of Their Own" uniform, which sold for $31, 250, and her "Who's That Girl" tour dress, which sold for $50,000. Those were a lot more popular than the yoga mat featured in The Next Best Thing, which I hear was given to a pet shelter to line cat cages with after the auction. 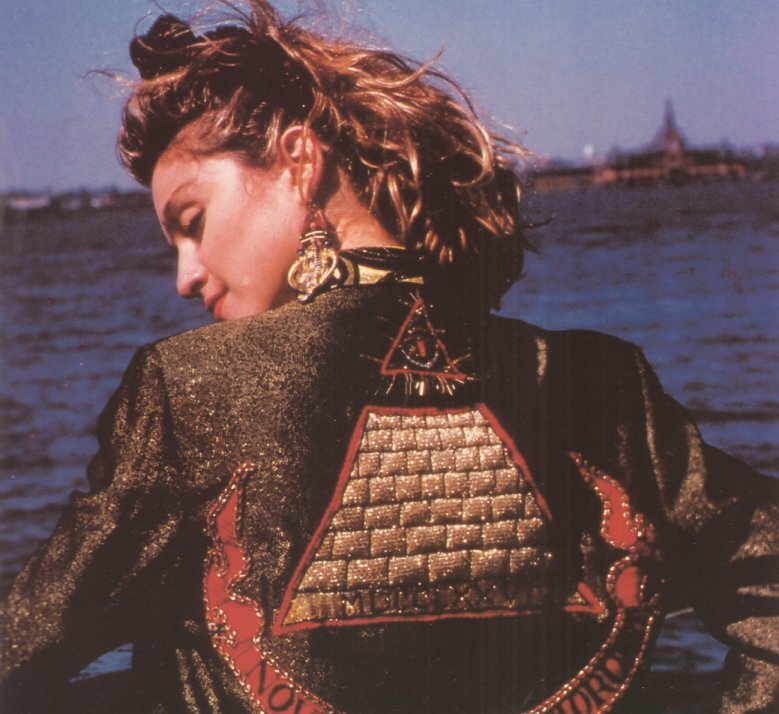 Someone also spent $252,000 to get the original jacket Madge wore in Desperately Seeking Susan. I will admit to being slightly obsessed with that jacket so much so that I once took a brand new jacket and tried to draw that pyramid on the back. Only it ended up looking like a warped slice of pizza and I got grounded for a week for ruining a jacket. (I'm also particularly envious of the person who went home with an earring that featured prominently in the plot of the film for a lousy $34,375). If you're really desperate and you don't have billionaire throw-away money on hand, you can get a knock-off of the famous Desperately Seeking Susan jacket for about $165.